Beach wedding hair…it sounds so easy, so laid back and fuss-free, doesn’t it? But it’s not. You can’t just wake up on your wedding day, jump in the shower, run a comb through your hair and walk down the aisle hoping it will just work out. Nope, it’s a lot more complicated than that. Wind, humidity, and sweat can all wreak havoc on your mane so what might start out as beautiful beachy waves could fall flat before you even make it halfway down the aisle. To help answer your big questions, I’ve enlisted the help of beach wedding hair pro, Cari Collinsworth. 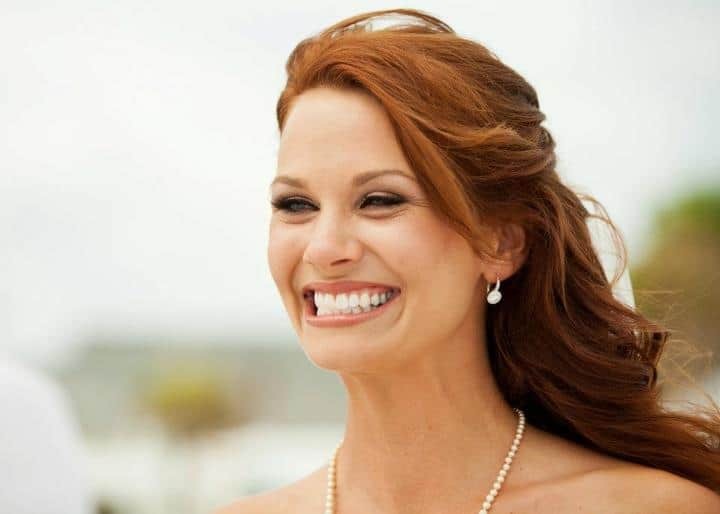 Cari’s the owner of KyleLynn Weddings, a team of Hair and Makeup Artists that specialize in Weddings serving West Coast and Central Florida including Tampa Bay, St Pete Beach, Clearwater Beach, and Siesta Key. So without further ado, here are some of her top tips and advice. What is your #1 beach wedding hair tip? What type of hairstyles do you think are best for beach weddings? “Most of my beach wedding brides opt for a soft, natural look for their hair which I feel is right on point! When it comes to choosing an updo or a down style, you have to consider a few things… Your hair type/texture, your own personal style, the elements that particular day (30 mile an hour winds or 90 degrees with 80% humidity). What’s the biggest beach wedding hair mistake you’ve seen brides make? What beach wedding hair style and products would you recommend for a bride getting married on a very windy beach? A big thank you to Cari from KyleLynn Weddings for so generously sharing these priceless tips! Make sure you check her out if you’re tying the knot in Central Florida! 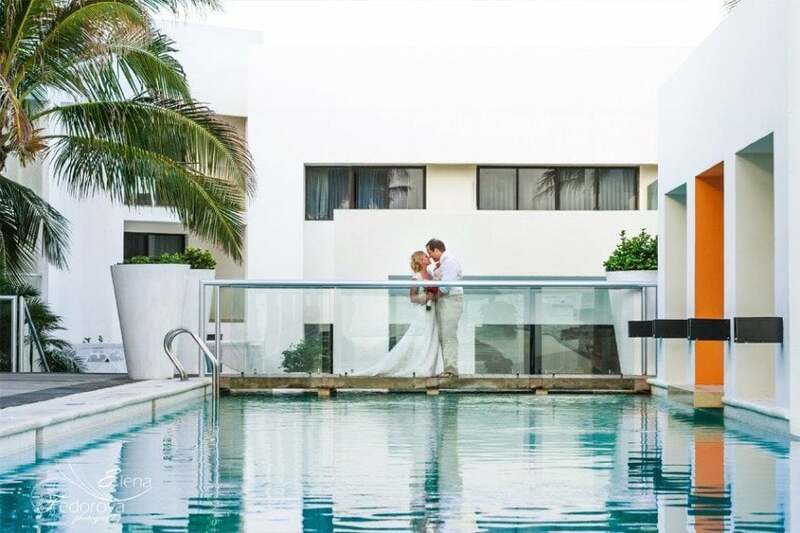 They say pictures are worth a thousand words, so to give you an idea of what Cari’s talking about and to help inspire you on the quest for that perfect beach wedding hair, here are some images straight from the portfolio of KyleLynn Weddings. Enjoy! Hey! Thanks for sharing this wonderful post. I like the idea of a loose updo for a beach wedding. Gorgeous beach wedding hair photos, ideas, and expert advice! These tips will help the bride to look perfect on her wedding day.